William Shakespeare’s existential revenge thriller ‘Hamlet’ has to be the most overthought play in human history. So you can see the appeal of just whacking out a fast-paced production that dispenses with an overriding ‘concept’, and instead just goes with the cues provided by the text. 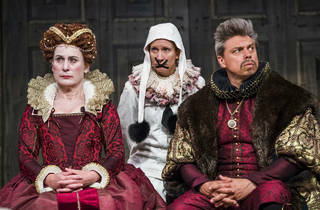 The reality, however, is that this ambitious production from the Michelle Terry-led company of actors that’s also performing ‘As You Like It’ falls a bit flat. As with ‘As You Like It’, it’s a production in which the actors were brought in as collaborators from the very start. They gel together a bit better here, but it rarely reaches the same eccentric highs, and it’s difficult to really see that some great reward has really been gained from the process. It has one very obviously selling point: Terry herself, in the title role. And the normally brilliant actor (and new Globe artistic director) is... pretty good. 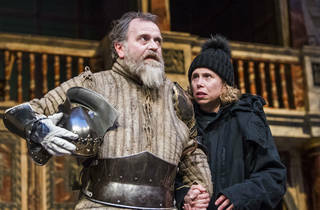 Where most of the cast in the rep shows feel like they’re performing a defined gender role (regardless of their own gender), Terry plays Hamlet as a sort of sulky androgyne, possibly a teenager, possibly an older princeling emotionally stunted by their privilege. Considering the lack of ostentatious flourishes in the production, it is, at the very least, quite ‘notable’ when Terry comes on in full clown makeup during the Danish prince’s ‘mad’ phase. Her Hamlet seems passionately unhinged, bona fide disturbed. But what does it all add up to? Honestly, it’s difficult to know. 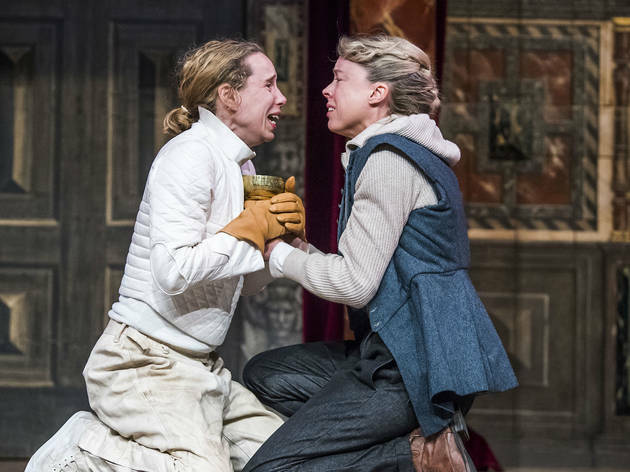 The show shares ‘As You Like It’ directors Elle White and Federay Holmes and once more their inexperience shines though: there’s just no clarity of intent here. Were it not for the clown costume, which I’m not even really convinced means much, the show probably couldn’t even be said to have an aesthetic of any kind. Despite its relative brevity, it feels untended and meandering. Compared to the riotous, vibrant ‘A Midsummer Night’s Dream’ that kicked off the reign of Terry’s controversially deposed predecessor Emma Rice, this feels pretty underwhelming. And next to London’s last big ‘Hamlet’, Robert Icke’s Almeida production, it’s left for dust. But still – there’s a clip and a humanity here that brings something to the table. 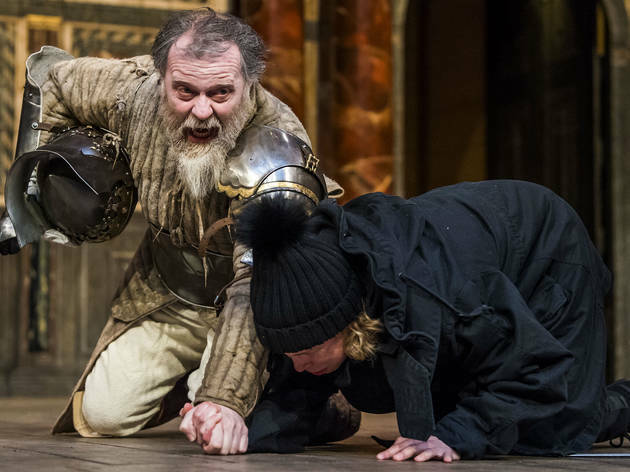 Richard Katz is nice as a gobby Polonius who seems pretty keen to marry off his daughter Ophelia, who is played with great dignity by Shubham Saraf. James Garnon is a hale and hearty Claudius, who seems like a decent sort who did one terrible thing. 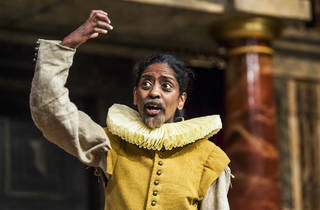 Pearce Quigley is his usual amusing self in a variety of roles, and in her way Nadia Nadarajah feels like the most important thing about the production – while the deaf actor is on stage is Guildenstern, the other characters communicate in BSL, surely the night’s most progressive flourish. Still, fairly or not, ‘Hamlet’ demands exceptional productions, not okay ones with interesting bits. This gets a pass, just, but the fact that it’s not a patch on the previous regime’s best bits isn't really making Rice’s departure any easier to take. It’s always a pleasure observing the historical, gorgeous architecture of The Shakespeare’s Globe. The rich, opulent colours and the attention to detail are exquisite. It’s traditional in the way it’s been constructed, but has an oriental feel to it, which is very interesting. I went to see their newest production ‘Hamlet’ and I enjoyed the modernised take on such a brilliant Shakespeare classic. This wasn’t my favourite take on Hamlet that I’ve seen, but I found it thoroughly entertaining and I loved the diversity of the cast. It was a breath of fresh air to see male actors play female characters in the story and vice versa. The inclusivity within the play made this ‘Hamlet’ unique and very special indeed. The cast overall brought the story to life with their magnificent, exaggerated facial expressions. I really enjoyed their bizarre acting approach towards the audience. It was extremely humorous. Talking about humour Michelle Terry who plays Hamlet is bloody hilarious. Her Hamlet was very well performed and I couldn’t take my eyes off of her. It was different and so excellently done. She definitely brought this production to a small success. Without her character, this Hamlet wouldn’t be the same. Her clown scene was a hit. I know people have their vision of their Hamlet, but isn’t it so great to see productions like these evolving into the future. Equality is the way forward. I also enjoyed Shubham Saraf’s ‘Ophelia’. He played this female character exquisitely well. His attention to detail was quite pretty and his dignified presence was sublime to witness. I did like Catrin Aaron’s ‘Horatio’. Extremely authentic and very engaging towards the audience. A funny take on the story, but still brilliantly serious in some ways. Some bits worked more than others, but it is definitely a show to see and it’s always great visiting the Shakespeare’s Globe. Awful. Just terrible. Gimmicky casting, ZERO directorial vision, just abysmal. 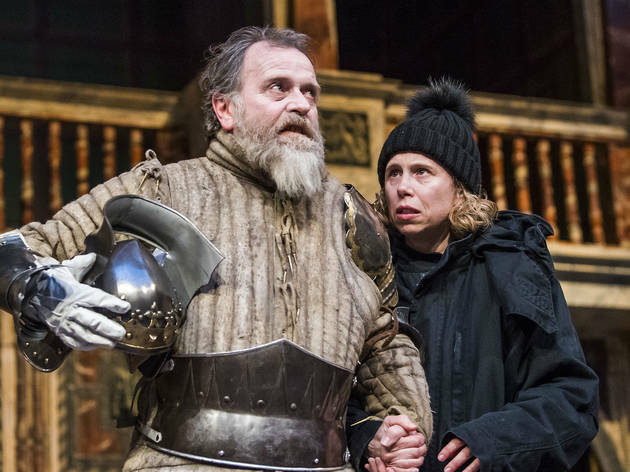 If it’s a celebration of PC “look how progressive we are” nonsense that makes ZERO sense to the play that your after, then you’ll be thrilled; if you were expecting great Shakespearean theater the Globe Theater, you’ll be in for a terrible disappointment. Many people left just moments into the performance; they were the lucky ones. It deserves zero stars. I’ve seen better Shakespeare done by high schoolers in America. Well what can I say- the most torturous 2 hours of my life. Terrible acting- very poor standard and frankly amateurish. Totally unconvincing portrayal of Hamlet. Ophelia was just as wooden. Hamlet played by a woman and Ophelia by a tall man in a dress- she/he reminded me of the male protagonist in the Hickcock movie psycho. 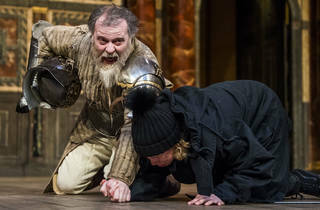 Poor standard from the globe and the icing on the cake- one of the actors on stage- angrily kicked a poor mans bevarage onto his face- because he had his glass resting on the stage. Unacceptable behaviour from an actor. The man was shocked and completely soaked. I really did not enjoy this experience at all. Has put me off the Globe. What a shame because a previous production of the merchant of Venice was sublime. I love the Globe and we go several times each summer but my my have they got this one wrong. It came across as pretty indulgent, really. 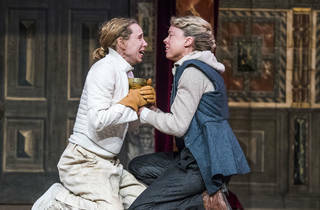 Female leads for Hamlet and Laertes - well, if you like, but if Hamlet is playing opposite a stubbled bloke in a dress playing Ophelia and has to get up on tip-toes to threaten her/him, it doesn't wash. It felt like a bad pantomime - at one stage the ghost of the old King was walking around whilst the characters were looking in another direction and the temptation to shout "HE'S BEHIND YOU" was palpable. 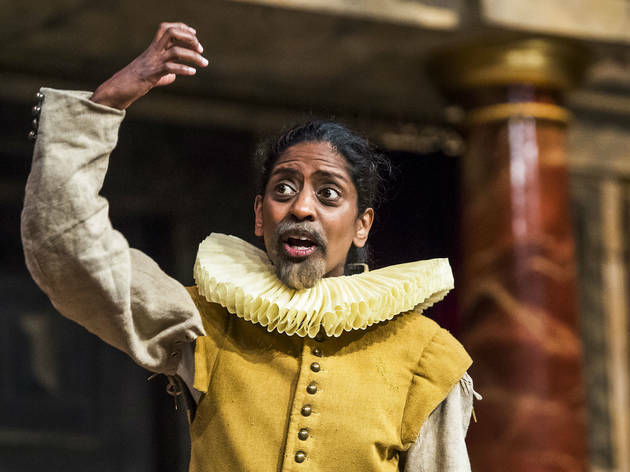 And what's up with Rosencrantz or Guildenstern (whichever one it was) doing everything in sign language, and with Polonius then making fun of the signage? Baffling. 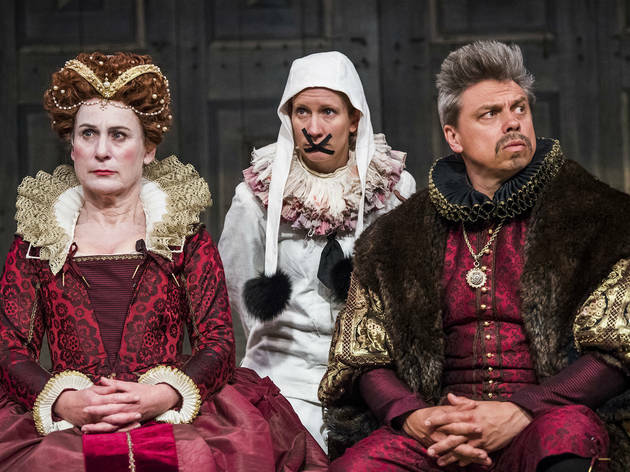 There was either no interpretation of the sign language or interpretation was Lassie-style ("what's that you say Guildenstern - the Queen is troubled?" etc). No engagement with the groundlings which is normally such a key part of Globe productions. Couldn't hear half the dialogue. We stayed until half time then left. Many didn't wait that long. Scant entertainment for £47 a ticket.